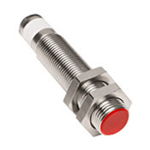 Inductive Proximity Sensors detect when ferrous metals are in the proximity of the sensing area. These sensors will remain active until a ferrous metal is present in the sensing area and then deactivate once the material enters the target area. The sensor’s detection area increases as the size of the sensor increases. 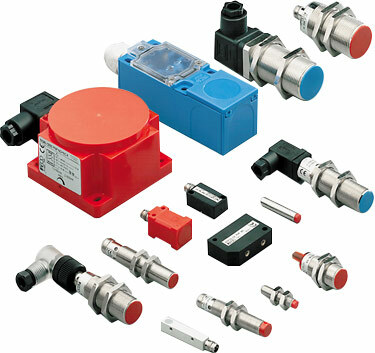 Inductive proximity sensors function so that ferrous metals in the proximity of the active surface (sensing area) will produce oscillations that lead to a change of state. Unlike a capacitive proximity sensor that oscillates when the target is present, an inductive proximity sensor oscillates until the target is present. By applying a voltage to the oscillator coil, an alternating inductive field is created in front of the active surface (sensing area) of the unit. When a metallic object (e.g. steel, aluminum, copper, brass etc.) enters the sensing field from any direction, it causes the state of the oscillator to be modified until the threshold trigger is inverted. This induces a change in the condition of the final stage and the consequent command of an external load. In inductive ring sensors, sensing is made within the ring itself. The sensor is activated when a metallic object is introduced within it. 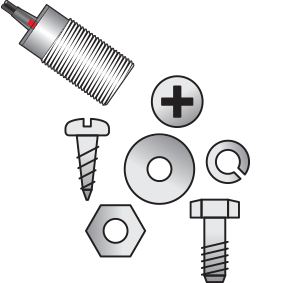 When choosing an inductive ring sensor, select a size based on the minimum hole diameter required. 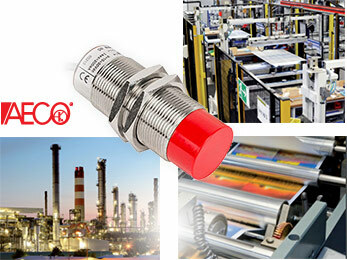 How are Inductive Sensors Used? 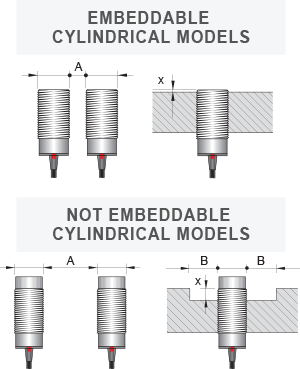 Where are Inductive Sensors Used?